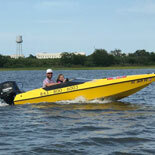 Be your own captain as you tour Charleston Harbor driving your own speed boat! 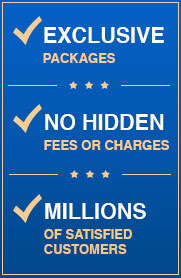 Experience the thrill of a lifetime on the Charleston Speed Boat Adventure Tour. A guided and narrated Charleston Harbor tour with a twist. Get up close to the sights of Charleston Harbor including the Battery, USS Yorktown Aircraft Carrier, Arthur Ravenel Jr Bridge, the downtown Charleston Skyline, Waterfront Park, South Carolina Aquarium, the Cruise Ship Terminal, and all the wildlife that call Charleston Harbor home. 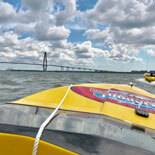 Experience the adventure of a lifetime on the Charleston Speed Boat Adventure Tour. A guided and narrated tour of Charleston Harbor with a twist. 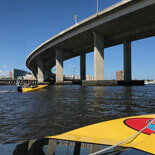 You are able to navigate and captain your own speedboat for the entirety of the tour. Following trained and knowledgeable guides you will experience the best of both worlds; the THRILL of driving your own speedboat, and the safety of having a skilled guide introduce you to the beauty of Charleston Harbor. The witty yet historical narration is done through two-way communication systems mounted in each boat. Daily at 9:00 am, 11:00 am, 1:00 pm, 3:00 pm and 5:00 pm. Please arrive 20-30 minutes before your scheduled departure time. Closed Thanksgiving and Christmas. 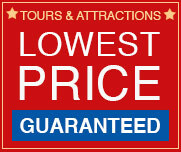 Reservations are required at least 2 days in advance of desired tour. E-Ticket will have details on confirming tour time. Guest with back problems or recent surgery should not participate .